Award base, walnut, but it won't look like much yet. I'm beginning work on my usual projects for this time of year. Some readers may remember that a number of years ago, I collaborated in the design for the Arkansas Governor's Award for Quality, and each year at this time, I make an award base which will be completed by the addition of a medal encased in Lucite by another Arkansas craftsman. I am also working on my usual production run of small boxes that will be made for delivery up through November for gallery sales. Sadly, my work against the SWEPCO extra high voltage powerline must continue until SWEPCO sees the light or the APSC pulls the plug, and there may be some stray visitors to this blog because of a letter I sent on that subject to the Carroll County News. 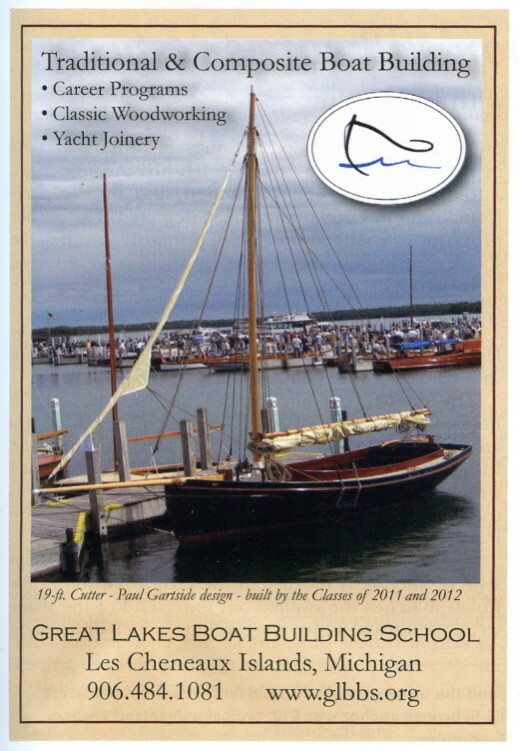 I welcome any new guests whether they are interested in hands-on learning or not. I can't stress enough how important my woodworking has become as tool for coping with other things. To enter the shop and pick up a piece of wood and surface it smooth to the touch is one of those precious things that so many folks these days may not understand. There truly is wisdom in the hands. When we are creatively engaged, we have the power to set things right in our own lives, even when faced by an adversary so much larger and more powerful than ourselves. We keep learning more and more about the SWEPCO project that had not been readily forthcoming from the power company. Now we've learned that the 38 acre cowpasture that the utility company paid $600,000 for, will be shared by another utility company, Entergy. They plan additional powerlines north and east that will do further damage in Carroll County and all across the state. So on the one hand, we've learned that we are not alone in the path of destruction, but we've also learned that the adversary in this is not a single corporation, but a pair of them. In addition, we know that one of the commissioners who will decide the case for the APSC is the president of the regional committee of the Southwest Power Pool, the organization that told SWEPCO to build the powerline. This has really come to be a case of David against a whole tag team of Goliaths. In any case, however, some may recall that Goliath was killed with a single stone to the head. We may not have found the right stone yet, there's a whole community sorting rocks. We've had a lot of rain lately. Normally this time of year, it is very dry in Arkansas, but this year, a few good late July rains have helped. Our gravel road has been washed by a number of substantial downpours, so that led me to tractor time to put things right while the ground was still wet. In order to move dirt and to get it to stay for any length of time it must be wet. If not, it fails to compact, and vehicle traffic up and down our long gravel road will make ruts and bumps in no time. then the next big rain will wash gullies down the middle of the road. It may seem that driving a tractor up and down the hill would be a mindless activity. But grading a road is just like any other form of craftsmanship. Attention is required. The craftsman's prayers are as follows... Number 1. Prevent my engagement in boredom and mindlessness. And yet, those who know nothing about craftsmanship might assume whatever they observe others in the midst of as being mindless. Ironically, there are similarities between grading a road and planing a board. The box blade angle is somewhat variable, so that at one angle it digs deep and at another acts more like a scraper. Then even when you think you've learned all that, there are other subtleties, like creating a crown in the road to allow for water to run off to the side rather than down the middle where it does the most damage. Which brings me to craftsman's prayer number 2. Let me keep learning. Today, also, I've been talking to one of the lawyer's from the state Attorney General's office. It seems that the utility company applying for a certification of environmental compatibility and public need (CECPN), which would allow them to use the powers of eminent domain to push their powerline through private properties across Northwest Arkansas, must (according to state law) present in its application, an analysis of economic impact for the region and communities it would affect. Neither the utility, nor the public service commission has done any form of assessment as to economic impact. The great shame of that is that they would perpetrate economic losses on the community and have pretended that those losses will not matter. Their application and the Arkansas Pubic Service Commission's review of that application has ignored state law. It will be interesting to see if the Attorney General's office will decide to agree. 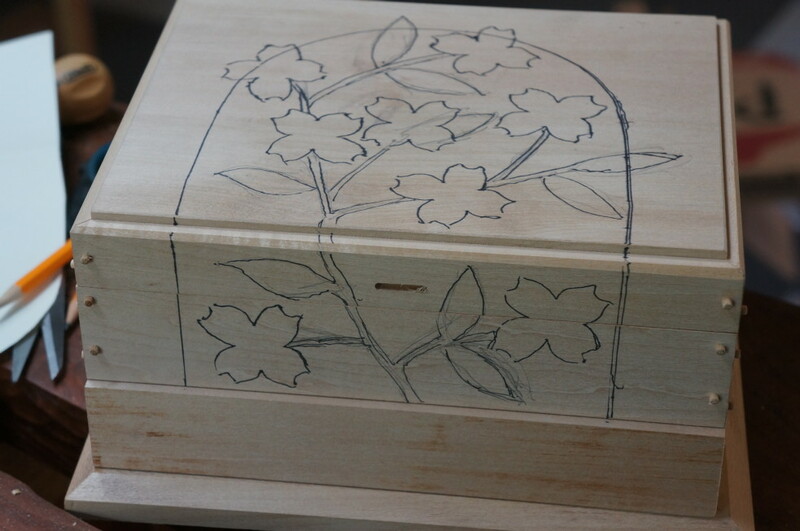 Simple carving is a way to make a box more interesting by adding texture, line, and visual illusion. It also lends the perception someone had invested original craftsmanship in its making even when quickly done. It is always more interesting to see tool markings, as evidence of human engagement and attention, that to see flawless surfaces that one would associate with machines. 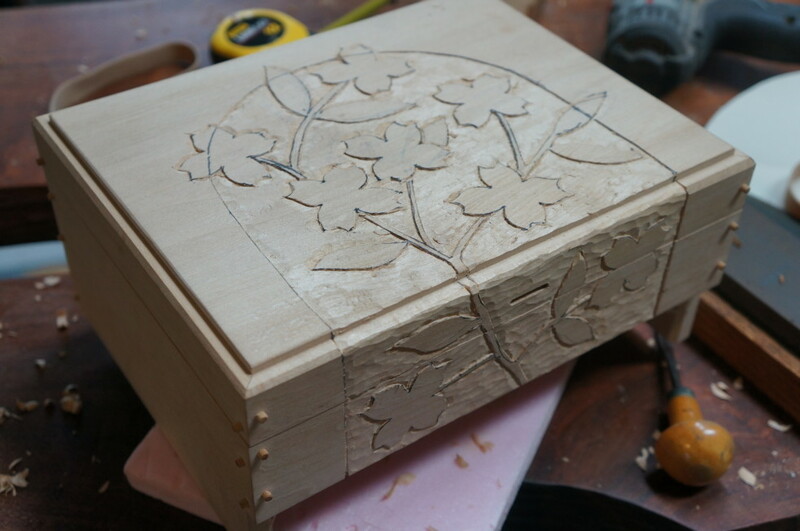 I am working on a carved jewelry box as an alternative in chapter 5 and you can see the progress in the photo above. I began the layout this morning using a small dogwood flower template cut from paper. Then I sketched in branches and leaves, having some of them escaping the border for added visual illusion (effective surprise.) I next carve and carve, removing the background in shallow scoops with the gouge. I use a small straight chisle to cut the outlines around each element. Not bad for an afternoon's labors. I'll add details and finish the carving in the morning when my hands are less tired. 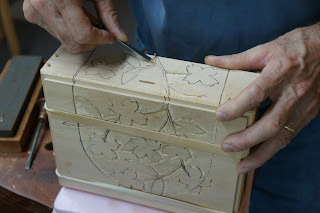 You can see that the carving had to be done after the lid was sawn from the body of the box, so that the pattern will climb up the front of the box undisturbed. It is doubtful if the true significance of this impulse in the child has ever been fully appreciated in any scheme of formal education. In the fullness of the young child's activities it is obvious to the most casual observer that the sensori-motor forms largely predominate over the reflective. During his waking hours it is a matter of common remark that the child is never still a minute. We wonder at his endurance. Occasionally he stops to think, and gradually these partial inhibitions of the physical activity for the reflective become more and more frequent until in later life, with most persons, the reflective forms of activity exceed the sensori-motor. There will be from the first a small central core of reflective activity in a large medium of physical activity. In a normal development of the individual the reflective life will gradually enlarge and the sensori-motor modes of activity will relatively decrease. This does not mean that the two forms of activity are separate and independent. The fact is, they are inter-related and mutually dependent. Certainly, this makes sense. You don't have to have a PhD in child psychology to observe what any mom, dad or great uncle can observe by watching a child at play and as he or she learns from that play. But what happens when children are forced to sit listening when their impulses are to act and learn from reflection on their own actions? And if we force children to be passive rather than active, as their impulses, inclinations and nature intend, what have we done to human culture? "... Manual arts and industries furnish a better means of developing the sense powers than any system of specially devised exercises. The actual manipulation of various materials, clay, sand, papers, cardboards, wood, metals, cottons, wools, silks, materials that are worked over for the sake of some end in which the tactile qualities must be appreciated, supplies all the conditions for desirable training of the sense of touch. Along with these will go training in visual perception which, however, will have special emphasis in those occupations involving color, light and shade, details of form and proportion. Another accompaniment will be the training of the muscular sense in judging weight, pressure, and other forms of force. The other intellectual sense, hearing, will be appealed to much less than touch and sight, but in working wood and metals especially there will always be more or less ear exercise which has its own significance in the operations. " Row notes that specialized training in certain trades should go on in industrial trade schools, but the training of the senses through manual arts should take place in elementary schools. You might have noticed in the quote above, that Row named hearing as an "intellectual sense. " In fact all senses are intellectual, and what Howard Gardner described as multiple intelligences, is related to the training of the senses, and their natural engagement through the impulses of children and adults. The recognition that sensory engagement is essential to learning, led some educators to devise artificial constructs to train the various senses, but the sense of relevance is lost in doing so. Just as in asking teachers to devise artificial means to accommodate children's multiple intelligences, contriving phony means to activate the child's senses fall short in comparison to having children do real things through which all the senses and values are engaged. The photo above is one that I took of an early photo when I was visiting at Nääs, the original from a time in which the value of woodworking in education was understood. Make a ring pillow with foam, paper and glue. "From such a point of view these impulses should be suppressed. Instead of allowing the child to play he should, as early as possible, have regular work adapted to his ability. Instead of building play houses and mock forts and crude boats he should be learning to read and write and spell, because, though he may have little interest in these things now, they will be useful to him later. The impulses of the child should be suppressed and supplanted by interests and habits that will be of value to him in later life." Of course Row is making light of a particular view with which he completely disagrees. An article in Time Magazine this week describes the way the human brain adapts to language and that as children age, the brain sheds connections that are not used. Children who learn to speak more than one language early in their lives are given distinct advantages over those who attempt to learn new languages later in life. The same was observed over a century ago, in reference to abilities earned and learned in the manual arts. The perception of beauty, and the human creative capacity are both operative in the human brain. These must be engaged in the same manner children's capacity for language is nurtured and sustained or will be lost through neglect. The choice is clear. Use our human productive capacity, nourish through use the structures of brain and limb that support it and encourage its exercise at the earliest possible time in the growth of our children or witness its loss. The impulse to create is more important than knowing how to read and write and should take its place more firmly in American education. It is a natural impulse that should not be suppressed. I made two presentations yesterday at the TEAM meeting in Springfield, Missouri. The first was a 45 minute presentation on the Wisdom of the Hands that had to be cut a bit short from what I had planned due to a presentation from an organizational leader telling the dire straights of industrial and agricultural arts in Missouri schools. Fortunately, his presentation led right into mine, and everyone is already aware that we need to do much more to explain the value of our programs. 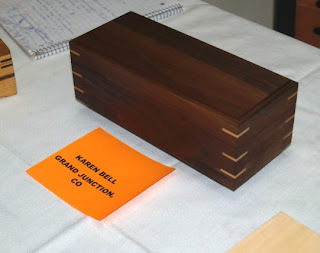 My second presentation was on box making. It you take the acronym, STEM, which stands for Science, Technology, Engineering and Math, and add an A for the arts, you get STEAM. Add an R for "reflection" and you get STREAM. My box making presentation was on STREAM. The conference was not well attended, but my classroom for the box making presentation was packed, and attentive. I started with observation and reflection. Students must be invited to think. I centered the lessons on design drawing the arts into the understanding of box making and offered the examination of real boxes which I had brought with me from Arkansas, so that teachers could see clearly the relationship between the theory of educational Sloyd and what they were doing in my own class. A classroom setting is not the best place for individualized learning. And naturally not everyone in the class was able to process the information I presented in the same way. When you understand that, you become watchful for student response or lack of response as feedback. the most interesting thing I've learned about educational Sloyd is that its theories of how we learn apply to everything we as teachers have the responsibility to help our students learn. Just in case any of my teachers from yesterday's presentation are reading today, I'll repeat. Move gradually from the known to the unknown. Move from the concrete to the abstract (and back and forth). As I mentioned in my first presentation at yesterday's meeting, Educational Sloyd came 50 years before Piaget, and long before Dewey, Bloom and Jerome Bruner attempted to describe how we develop as learners and how we learn. One of my teachers during the box making presentation noted that his students are required to write about what they've done in class. That can be a point of reflection. 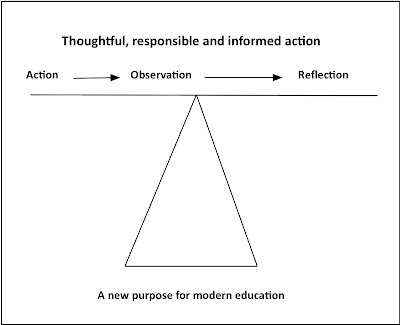 But the reflective process is inherent in all learning actions. When I asked my teachers to each select one of my sample boxes and describe what it was that led them to pick it up, that too, was reflection. When we invite students to become engaged as individuals in learning we invite their personal reflection. Today, we celebrate the ground breaking for a new studio at ESSA, and this evening, I'll make a short presentation of the powerline proposed for Northwest Arkansas and our efforts to stop it. The boxes above illustrate the concept of "effective surprise," a design principle I shared with my teachers in yesterday's box making class. Open a box and find either wedding bands or a pair of diamond earrings? Surprise. Today as I prepare for my presentation with Missouri Association for Career and Technical Education, the Clear Spring School wood shop is being used for an ESSA class on wood turning. Les Brandt has 4 students at various levels from beginning to intermediate, and they are having great fun. I arrived this morning in time for some instruction in how to sharpen a bowl gouge. "Among another group of teachers, the disease breaks out, and becomes very infectious 'visualization' or an alleged system of 'mind training.' All sorts of exercises and games are devised to provide practice in taking mental snap shots of the form, size, color and number of objects, pictures, or hieroglyphic symbols. It is the easiest thing in the world to create a high degree of abnormal interest in this sort of exercise. Only teachers of enthusiasm are likely to undertake it. The enthusiasm infects the children, and the activities involved are so superficial, and so gently graded, that the majority of children seem to succeed well in them. A spirit of intense emulation prevails and some children soon become very expert in the exercise. It is easy to test results and the method lends itself to public demonstrations as only superficial work can. For these same reasons the method becomes epidemic for a time among a certain class of teacher who are especially susceptible to that kind of infection." Row suggests that there is a difference between contrived training of the senses, and sensory training that comes from being engaged in doing real things. For example, in the wood shop children learn to look closely, to listen attentively, to use touch and sight to measure progress, to develop rhythm and method in their work, and to develop sensitivity to their own bodies in the process of making beautiful and useful things. Today is the start of the Missouri TEAM Conference of the Missouri Association for Career and Technical Education. I will be a guest speaker there on Wednesday and will conduct a work shop during a breakout session later in the morning. I am honored to have been invited, and have between this morning and Wednesday to prepare my remarks. This morning I have a meeting at school and am also trying to clean my shop, and put things back in order following my ESSA class and a quick trip to a family reunion. It always feels good to get back in the shop. Even when things are messy, it is home to my creative spirit. The object lesson aims at nothing beyond the training of the observing powers themselves... The teacher who tries to train the powers of judgement and reasoning upon incomplete and inaccurate sense-perception is like the man who built his house upon the sand. The wise teacher endeavors to build up the intellectual edifice upon the rock of well-ordered sense-precepts. In giving a lesson on copper, one teacher deals with the color and then then passes on to some such topic as the method of obtaining the ore, thus appealing to one sense only, sight. Another teacher not only lets the child look at the copper, but lets him fee it. bend it, put his tongue to it, strike it, thus appealing to the sense of touch, muscularity, taste and hearing." At my family reunion, we were impressed to observe my grand nephew Knox as he played with his parents' iPad. It is truly amazing what the device can do. Knox, no doubt will be reading in no time. And the device is so well devised that no skill at all is necessary for its use. However, it would be mistake to think that manipulation of electronic devices designed to eliminate the need for intellect is in any way an expression of intellect. Einstein had said that his pencil and he were smarter than he was. We keep making our pencils sharper, and transferring greater intelligence to them and making intelligence less necessary in ourselves or in our own thoughts. Is that the purpose of modern education? I am reminded of the three philosophers walking at night in contemplation of the stars. They fell headfirst into a drainage ditch, and as wonderful as the heavens are for contemplation, there is the real planet upon which our feet must rest and there are other senses beyond sight which must become fully engaged... the hands, for instance. We need to engage children's senses in learning. That means beginning with simple technologies that require both skill and intelligent observation in the completion of their assignments. I've been digging though old slides today to find photos of a project I'd done 13 years ago for the director of the Little Rock Regional Chamber of Commerce to send to the governor's office. 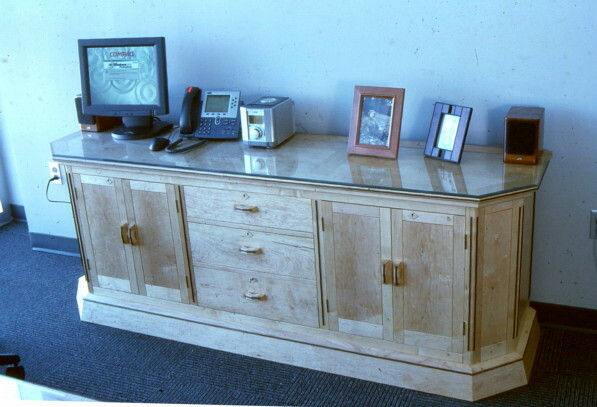 I am trying to help the former chamber of commerce director to find a home for this furniture that he will no longer need in his retirement. Two pieces of the set are shown in the photos above. Robert Keable Row in the Educational Meaning of Manual Arts and Industries, 1909, attempted to make use of educational psychology by describing the child as a set of impulses as follows: The impulse to sensation, the motor impulse, the impulse to play, the social impulse, the impulse to imitate, the impulse to construct, the impulse to experiment, the artistic impulse, the impulse to own or to possess, and he further describes all these as interconnected as a "unity of impulses." All of these can be analyzed as contributing to the interests of the child. How we decide to regard children's impulses is one of the first philosophical decisions we would make in designing the structure of an ideal school. Robert Keable Row suggests ways we can address impulses. First, we can simply ignore them, set up the "ideal character to be developed," and attempt to set up a course of instruction for all children regardless of individual personality. "If the child does not seem to profit by the instruction or objects to the training, ignore the fact or impress upon him that what he likes or dislikes to do cannot be taken into account, that his parents and teachers know best what will be for his future good and he must, willy nilly, be guided by them." A second commonplace view of impulses is that those impulses are of no use, that they conflict with the interests of educators. Play is thought to yield nothing of value, the constructive impulse is too often destructive, as "The child simply spoils materials and tools and produces nothing of value." In this view, children's impulses are to be purposefully suppressed. "Instead of building play houses, and mock forts and crude boats he should be learning to read and write and spell, because though he may have little interest in these tings now, they will be useful to him later. The impulses of the child should be suppressed and supplanted by interests and habits that will be of value to him in later life." "To ignore the impulses named would be the same in principle as to ignore the impulse to take food, to take rest and sleep, or to seek companionship. It would be to ignore the very force of the child's being. It would fail to take account of and would allow to operate at random the most fundamental conditions of life and development. To restrain or suppress them would be analogous to impairing the digestion and restricting respiration and circulation. It would retard or check growth and result in a dwarfed individual." Robert Keable Row offers the manual arts as being the best means available to engage children in the exercise of the whole set of normal creative impulses. If that idea sounds unfamiliar to you, you are an observer of American education. If it sounds familiar, you may either be a regular reader of this blog, or you may have taken some notice of the creative expressions of your hands in your own life. Comenius was considered the father of modern education. And if you look at what other educators have offered you begin to see that Comenius, though ignored these days, has had his theories expressed more recently by others. For instance, Howard Gardner came up with his theory of multiple intelligences, which isolates the particular senses and proposes them as being expressions of intellect. And yet, we have almost completely ignored Comenius' point. Instead of engineering classroom work to offer avenues for engagement of various forms of intellect as is proposed by followers of Howard Gardner, Comenius proposed that children become engaged in doing real things that connected them more deeply to community and culture. Making things of useful beauty, for example. Robert Keable Row wrote in 1909, "... to speak of one having "finished his education" is utter nonsense, unless he has died or become an imbecile." I missed the public hearing in Rogers yesterday on the Shipes Road-Kings River powerline project, and evidently the citizens of Benton County are not as stirred up as those of us who know that the powerline will bring such destruction to our homes, our scenic beauty, our environment and our economy. Television coverage talking about the project showed much smaller conventional powerlines in their film footage making those of us opposed to this massive project look foolish. But that is the way of things. There is a relationship between having students sit still, inactive, and complaisant and disengagement in civic life. The early advocates of manual arts believed that it led to the development of active citizens. Without active learning children develop a sense of impotence in relationship to authority. One thing one learns through craftsmanship... to take matters into one's own hands eith the potential of making oneself a steady nuisance to the status quo. A person cannot be engaged in making beautiful and useful objects without also being engaged as a lifelong learner. The most certain way to make certain we have power in our own lives is to be continuously schooled in the intelligence of our own hands. Not withstanding all that has been spoken and written regarding education, it seems probable that the great majority of persons fail utterly to comprehend the meaning of the educative process. The most common misapprehension is the confusion of schooling, scholarship, an acquaintance with books, with eduction. Of one person it is said, "His parents gave him an excellent education, but he has never amounted to anything. He has failed in everything he has undertaken." Another man who has proved himself unusually efficient in a calling requiring ability, sound judgement, and skill is spoken of as "uneducated. The fact is, the first man was not educated; he was merely schooled. Possibly nature gave him little that could be educated, or the years spent over books may unfitted him for the kind of work he might have done with success, if his schooling had been along different lines. The second man was merely "unschooled," unscholarly. But he must have had experiences, process of training, that developed his power to do the things in which he had succeeded. Ultimately this must be the test of education, the judgement to determine what is worth doing, and the ability to do that thing well. We had two days of amazing public hearing in Eureka Springs. Hopefully, these hearings which should have taken place before the project was planned through our community, will be the beginning of the end of the proposal. 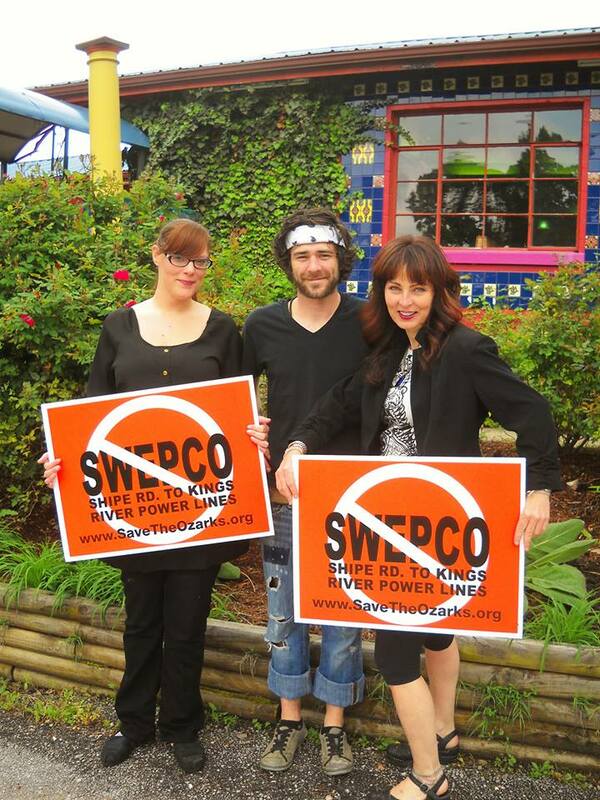 SWEPCO should, if they were listening to the folks most impacted by their plan, immediately withdraw their proposal from consideration by the Arkansas Public Service Commission. Hopefully the administrative law judge will agree. Yesterday the attorney for SWEPCO tried to explain to one of our Save the Ozarks volunteers that he was lacking in the ability to fully comprehend their project. If someone can't explain a project in simple terms so that those who are most affected by it can understand, which one is really dumb? Yesterday's public hearing on the Shipes Road to Kings River 345 kV powerline proposal by SWEPCO that could destroy my back yard was an amazing event. The turnout of the common folks of Eureka Springs was huge. Almost 120 people gave comments stretching beyond the 3 minutes allowed each. The judge was courteous to all and could not have helped being blown away by the sincerity, passion and eloquence of some of the comments. The SWEPCO attorney had attempted to persuade the judge to deny my first amendment rights to speak and fortunately the judge did allow me to read my remarks into the public record of the hearing. I know that many of my readers do not live in communities like this one, and I know that some do. In any case there are some similarities among communities where folks live with passion for the quality of their lives and are willing to rise up against powerful corporations to protect it. A sense for beauty and form can come from the engagement in art and and in music, that reshapes the human soul toward the elimination of stupidity. I want to thank all of those who turned out and expressed themselves. When the judge got to 9 PM last night with a list of over 100 folks still waiting their turn to speak their minds and their hearts, the decision was made that the hearing continue this morning and proceed until all voices are heard, if that can be accomplished before 9 PM tonight. For those readers who do not live in this kind of community, I can give a few tips on how to create one, but I cannot do so without talking about beauty and the arts. I was telling my students in my last classes about Paul Gartside's description of a "design spiral" in that one thing leads of necessity to another in the contemplation of design, and that each minor thing affects the totality of the form. The same is true of craftsmanship. 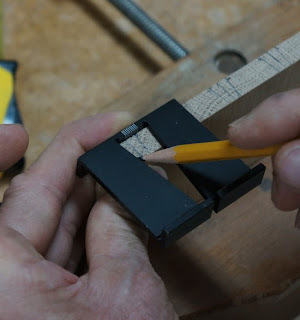 When you've proved yourself in cutting miters you must inevitably try finger joints or dovetails, or vice-versa, and the intertwining of incrementala refinements of design and craftsmanship are the path through which the craftsman arises. Just like DNA. 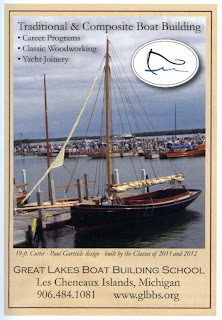 "Few pleasures compare with that of contemplating the next boatbuilding project, and there is surely no better distraction from the complexities of the world. As vices go it is entirely innocent—at least until the first load of materials arrives and the neighbours become alarmed." When it comes to the powerline project, the SWEPCO engineers were no doubt delighted in the chance to build that massive project, but the neighbors have become deeply alarmed. Perhaps those engineers would be more deeply fulfilled if they had taken pleasure in making less destructive things... wooden boxes or wooden boats. Fortunately for my mental health, I chose a career as a wood worker rather than following my family's suggestion that I study law. Now that my ESSA box making class is finished, my next hump in the road is the public hearing on Monday, July 15, 2013 in opposition to the extra high voltage powerline that SWEPCO plans to force through our community, whether we want to have our lives disrupted and our homes and properties destroyed or not. I woke up in the middle of the night to craft my statement for the public hearing but there is some doubt as to whether I will be allowed to speak. 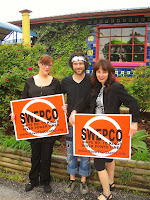 Despite the corporate claim that "SWEPCO encourages public input as part of the regulatory review process so that all stakeholder's voices can be heard," the SWEPCO lawyer contacted the administrative law judge asking that those of us who have previously submitted comments to the Arkansas Public Services Commission website, or have submitted affidavits or testimony in the case be prohibited from speaking at the public hearing. They feel that for me to speak would be unreasonable double dipping into the quasi-judicial process as though none of us who are so deeply involved could add anything significant to the consideration of their plans. It is very common for American corporations to tell us how much they care about how we feel and then make certain that what we feel is summarily dismissed. A public hearing, as acknowledged by the APSC is not exactly the same thing as a court of law. In a public hearing, one will be addressing both the judge and the audience in attendance. For the SWEPCO attorney to ask the judge to limit my rights guaranteed by the First Amendment seems an absurd notion and if the judge follows through with the line of thought proposed by SWEPCO you can guarantee this case will ultimately go to the Arkansas Supreme Court for resolution and remedy for their abrogation of my rights. I am ever so grateful for a conversation I had with my friend Jorgy so many years ago when he told me that my brains are in my hands. That conversation was what turned my life on a dime, and led me to choose the life of a craftsman. It is such a positive thing to be involved in creative pursuits. And while I'm learning that I seem to have the mental faculties that could have prepared me for a life in law, true happiness is not derived from conflict, but from creativity. 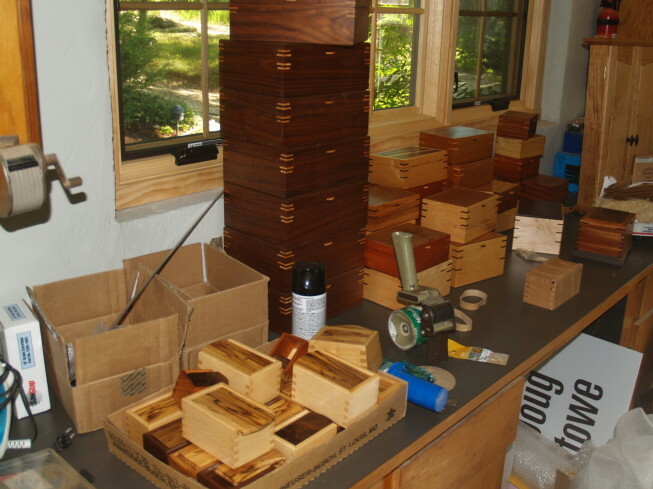 I have been making an extraordinary number of boxes lately, and new boxes are stacked on every flat surface in my office and finish room. I have to find time to market my work and get my boxes out to galleries for sale. What you see in the photos is only a very small proportion of the boxes that are ready for sale. Today we finished the remaining boxes and I did some additional demonstrations in response to student interests. All were interested in how to make a sliding top box, which I did in minutes due to having had so much prior experience in their making. Also, the finger joint router table was already set up and waiting. Jerry asked me to demonstrate carving a thumb groove for opening the box, which I did. 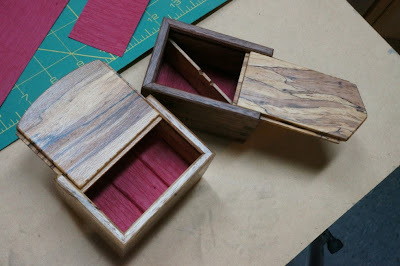 The lighter stripes on the box are where rubber bands were wrapped around to hold the box together, and as cherry darkens with exposure to sunlight, the wood recorded where the sun was blocked. I asked my class what they want me to teach next year. They asked for more hand tool work that builds skill. 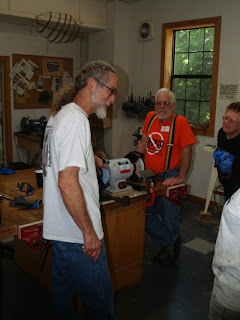 I suggested a class in educational sloyd in which they would be presented with a variety of lessons, each building on the experience and skill gained in the last, and students would end up with a variety of small projects and one larger one, as evidence of the skills learned during the week. It would make an interesting class and students would be allowed to progress at their own pace, though some may not finish every exercise and every model offered during the week. What do you think of that proposal? All my students from this week said yes. "I’ve been following your recent thread on teaching a “class” with great interest. I’m about to embark on some coaching in statistical programming for analysts at SRI (very much a 'craft', if only in the cyber/symbolic sense) and am running into the very same problem – everybody has fairly individualized needs, skills, and personal goals. Empirically I’ve found much better success with 'just in time' coaching on specific projects, rather than trying to encapsulate things into a generic 'class.'" Thanks again for your writing and your work! Individualized "just-in-time" teaching of students working to fulfill goals that are important to themselves, their families and communities helps the child to arise as a moral citizen as well as a craftsman and a scholar. In this last week's class, I could not have had a better lesson myself in the value of individualized learning, as each student had unique personal goals to accomplish during class. Each walked away at the end of 5 days, having met personal learning goals, and with boxes to prove having met them. Also, check out this link, Why Kids Need to Tinker to Learn. This is my last day of box making with the Eureka Springs School of the arts, until next year when I do something similar again. There was a Harvard report on what making does to kids' brains. And it is clear that making also affects adult brains in a positive way. We feel differently about ourselves and the world around us when we are creative. Yesterday, as Jerry was attempting to install two sets of hinges on a box, he confessed, "I've never known how hinges work." Now he does. And he knows how to install them using my story stick router table technique. When you've become a maker, or creator, you learn to see the world in a new light. You begin to notice details that you had previously thought unnecessary to your own life. Human beings are quite used to things being beyond their own understanding. We know that the workings o our own bodies are incomprehensible to most of us. We know that there are thoughts and plans and actions expressed within others that are incomprehensible to us. But to allow ourselves to become unobservant of simple observable phenomenon diminishes our power of understanding. Today, we'll have a small exhibit of student boxes at the main ESSA campus, 4-5:30 PM. Until then we'll be busy getting boxes to a point at which they can be shown. I am relieved that this is a rather gentle paced class. Having a small class means that I don't have quite as many questions to answer all at once, and I am having time to address the concerns of each student, helping them to learn at the pace that is comfortable to them. We have an important public hearing about the SWEPCO powerline project on Monday, July 15 and I learned last night that I may have been preparing my own public comments in vain. SWEPCO's attorneys asked the administrative law judge to prevent comments from those who have already filed affidavits or testimony in the case. The idea is clearly a violation of the first amendment, as a public hearing is not exactly the same thing as a court of law and yet the administrative law judge has seemingly concurred with SWEPCO's view. Taking the first amendment rights of those who oppose your plans would seem to be a reasonable line of thought for an American corporation that is planning to take property by eminent domain as well. It goes with the corporate ethos. It is deeply disconcerting to find an administrative law judge so ready to concur. I'm thinking at this point that we will need to seek additional legal council just to combat the taking of our first amendment rights. 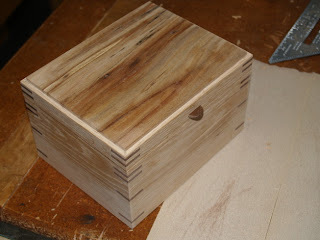 I am so glad to have box making as a refuge and retreat from all that, and look forward to this day of class. 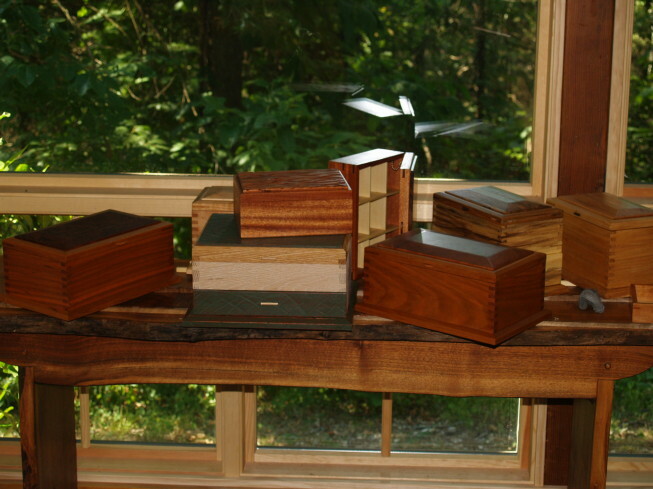 This is my third day of box making "class" for the Eureka Springs School of the Arts in my wood shop at the Clear Spring School. Otto Salomon said the following about "class:"
"As the aim of Educational Slöjd is totally different from mere mechanical instruction in the art of using tools and making articles, it may be laid down as a principle, that only in the degree in which the personal influence of the teacher reaches each individual pupil, can his influence be truly educative. And as human beings differ greatly from one another in natural disposition and other respects, instruction, in order to reach the highest degree of educative value, must be specially adapted to each individual. It is as easy to explain, point out, lead, and help too much as too little, and thus to check that mental development which can only be secured by systematic well-balanced effort. This is, and this will continue to be, the disadvantage of class-teaching:—this term being assumed to mean, instruction during which all the pupils taking part in the lesson have their attention directed at the same time to the same part of the subject." Salomon explains further that purely intellectual subjects lend themselves to class teaching because, for the sake of efficiency, you can crowd more students into the lesson at one time. Not so, when it comes to subjects in which students must actually learn to do something.What I'm teaching this week is a class in name only, as I have four students each going in slightly different directions and with differing goals. I had a nice interchange of emails with blog reader, Darrell, who first asked a question in one and then wrote me in another to never mind. In the process of framing his question he came up with the right solution on his own. I love it when that happens. 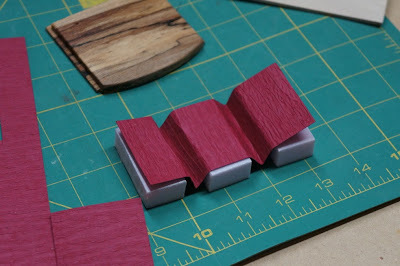 A thing I've noticed when teaching a student to make something is that they do not want to be bothered with too much instruction before it is necessary for their use. For that reason if for no other, individualized instruction is desirable and necessary, for the timing of learning—when it is most relevant—is based on the current status of the student and his or her present relationship to the subject. And when students get direct personalized hands-on instruction, they want more. Today my students were asking when my next classes will be held. They would take them all if I could only be in the right area at the right time. I finished day two of box making at ESSA. The students are all learning at their own pace. We talked just a bit this morning about how the brain works, and how we learn, and we discussed the design spiral, which intertwined with growth in technique leads to creative expression. This is a small class, which is allowing me to step off into student interests more deeply than I am able to venture with a large number of students. So today I spent just a bit of time cutting dovetails. "In choosing a series of models the best plan is undoubtedly to consider local conditions and endeavor to make it exactly representative of articles which can be used in the homes of the pupils. By this means interest in the instruction given is better aroused and maintained, not only in the pupils, but—and this is quite important―in the parents, and thus the bond between the school and the home is strengthened." My students each have come to class with different agendas. One has a radial arm saw and no table saw, so the use of the table saw is somewhat foreign. Three others would rather find other ways than the table saw to make their cuts. 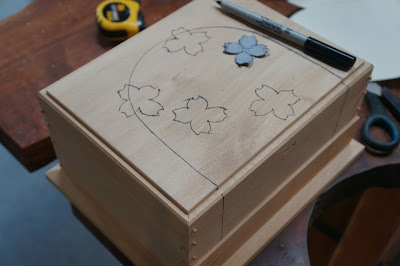 We are adjusting my box making class so we are using other tools and other techniques. The best plan is as Salomon describes. Adjust the lessons to meet the interests of the students. Then "proceed gradually from the more easy to the more difficult, from the simple to the complex, and from the known to the unknown." 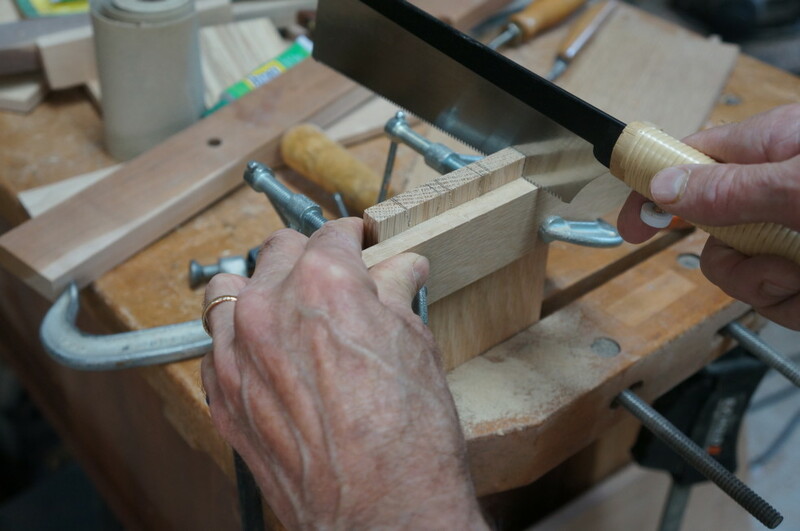 I am lucky to have a broad experience in wood working so that I can shift gears and provide the lessons most necessary to my student's growth, and enjoyment. If I were to try to force my students to learn just as we do children in school, they would tolerate little more than a few minutes of it. So why would we think what we do in schooling is practical for kids? This was my first day of a 5 day box making class at the Eureka Springs School of the Arts, that I'm teaching in my Clear Spring School wood shop. In this class, I only have 4 students and have asked my apprentice Greg to be my assistant for the week. Having such a small class allows me to be more flexible and directly responsive to student needs.That can be a mixed blessing. In some ways, I can make things easier for the students, but is that always such a good idea? 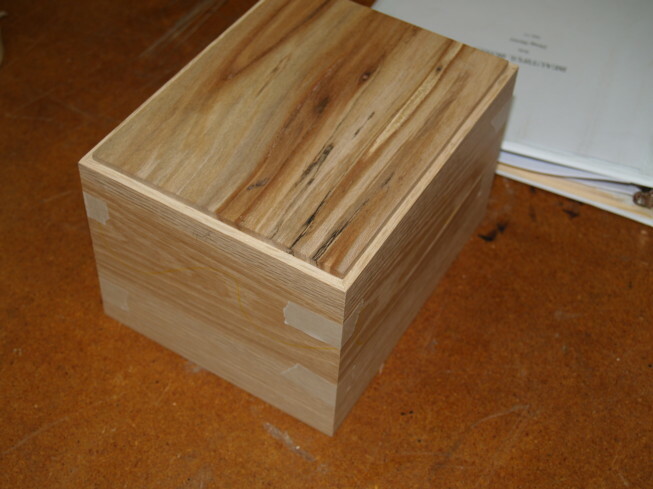 Merph's box made of white oak and sycamore. "It is an essential condition of any method of instruction in educational slöjd, that the work of the pupils shall be independently and accurate executed, for only thus can habits of self-reliance, order and accuracy, so important in the formation of character, be developed.... the teacher's art in educational sloöjd consists essentially in being passive and unobtrusive as possible, while the pupil is actively exercising both head and hand." 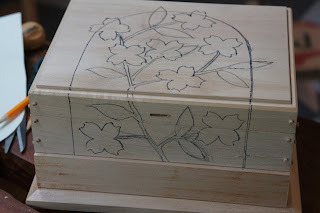 I am getting ready for my box making class with the Eureka Springs School of the Arts. I have only 5 students in this class including my apprentice Greg who will also serve as my assistant and help me to watch over student safety. Today I will take boxes and materials , and tools to school to supplement what's available in my school wood shop. 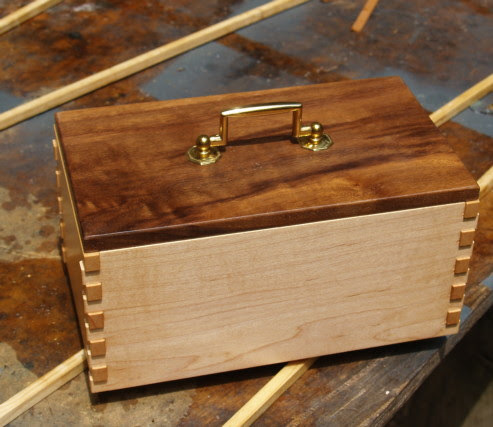 This class will be like all my other hands-on box making classes. We will explore our own creativity, and the outcome of the class will be influenced by the student's own design efforts. If I'm lucky, I'll make a few boxes, too, for the pleasure of their making. I think it can be instructive for each of us to reflect on how we learn, and to be watchful of our own processes of thought as we do so. For example, I've discovered that my own mind wanders when folks are talking to me. If you've not noticed the same yourself, it can only be that you weren't watching.The wandering mind is essential for learning. When something is stated by another person, the listener must find some meaningful recollection in his or her own experience with which to connect what has been just said. That connection is the hinge upon which all retention and future learning is based. Educational Sloyd used that hinge through adherence to the proposed sequences: Move from the known to the unknown, from the easy to more difficult, from the simple to the complex, and from the concrete to the abstract. And that all was to start with the interests of the child. If you honestly reflect upon your own learning experiences and observe the workings of your own mind, you will discover the truth that was offered by Salomon in 19th century Educational Sloyd. The wandering mind, is not just useful for learning but also for creating. Should it be any surprise to us that as we engage children in schooling their creativity plummets? That as they sit in mind-numbing classes their creativity diminishes measurable year by year? My box making classes attempt to reverse that process. The photo at left shows sawing hand-cut dovetails for a box. The photo at left shows my new dovetail marking template in use. Mark the center line of the pin and the scale allows you to widen or narrow the width of the pin on either side of that mark. I went to Opera in the Ozarks last night for a performance of The Elixir of Love, a silly opera, but one that was flawlessly and delightfully performed. This is the 63rd season of the Opera in the Ozarks at Inspiration Point. 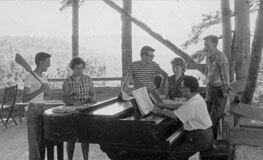 It is an opera camp that offers performance opportunities to young singers and musicians, and for those of us who live in Eureka Springs, Opera in the Ozarks presents a unique cultural opportunity. Last night's performance was a reminder for me that many good things take the same kind of intense learning. For instance, to become a teacher of Sloyd would require that one not only be prepared by instruction and lessons to teach, but also requires that one invest time independent of instruction to hone skills enough to stand in from of a classroom to demonstrate skilled woodworking without making a fool of oneself. The object of all teaching should be to lead students, too, to the point at which they purposefully and willingly invest time in individual exploration and refinement of skill. Just as an opera student will spend hours each day refining the precision, and range and efficiency of voice, students in all fields should be inspired to invest of themselves in something they then would have the capacity to offer to others as did the performers last night. Instead we have cursory education. Students are expected to have broad knowledge (and we test to see that they do) and no skill. Teachers are expected to deliver information and hold students accountable to standards of behavior and knowledge retention, but not to model the development of skill or independent thought. There is a really dumb and hurtful thing that some folks have said... "That those who can do and those who can't, teach." I'ts a blanket generalization that may be true for some teachers under the failed circumstances in which we expect them to teach. We've demoralized the profession. We've failed to note that teachers, like all other human beings, thrive in working conditions that nourish and celebrate the expression and demonstration of skill. Last night's opera was a joyful expression and demonstration of skill acquired through countless hours of independent work, and brought together in delightful performance. 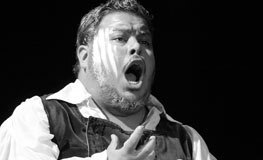 For me, writing in this blog is my opportunity to do what a young opera student will do. I work on the precision, range, and efficiency of my voice. The song here is about ennobling the teaching profession as I attempt to offer a new/old course for education. Who in their right mind would suspect that a system of manual arts training from the 19th Century could offer anything at all to our discourse about improving education? The simple principles of Educational Sloyd, that I've repeated so many times, apply not only to teaching woodworking but in the teaching of all other things. We learn best and to greatest lasting effect when we learn hands-on or by doing real things. Today, I offer opera as an example. In his introductory remarks published in the Teacher's Hand-Book of Educational Sloyd, Salomon notes the difference between a trained artisan and a teacher. While the trained artisan is focused by necessity on the qualities inherent in the finished product, the teacher must be concerned with the qualities developed within the child. An artisan might step in to make sure the child gets the work right, while the teacher might step back to see that the child learns. In other words, the predisposition of the artisan vs. teacher may be leading in completely different directions. "If he has not himself the necessary technical dexterity for his purpose, it will be difficult, indeed almost impossible, for him to make clear to his pupils how they are to handle their tools and execute the work prescribed. Neither will he be able in an efficient way to supervise their work and criticize the quality of what they produce. The feeling of self-mastery which is so essential for the teacher when he stands face to face with his pupils, forsakes him, and the educative results which he intends to attain my means of slöjd are diminished in proportion. It is most important that this should be laid down once for all, because some teachers possibly imagine that the technical skill necessary for teaching may be obtained by attending one or two slöjd course. This is by no means the case, and the organizers of such slöjd courses are the first to understand and to insist upon the fact, that they can only aim at laying a foundation on which students may afterwards build by means of independent work. Just as little as one can learn to play on any instrument by merely taking lessons for a given time from a music teacher, can skill in the management of tools be acquired and maintained without continuous and earnest practice. The teacher who feels real interest in slöjd must therefore, on his own account, endeavor to improve in respect of technical skill, and this will prove a two-fold gain, because the bodily exercise affords a healthy change form the mental work with which the time of the teacher is chiefly filled." The photo above shows the dovetailed box, with the corners assembled and ready for hinges, drawer pull, lid lift tab and finish. 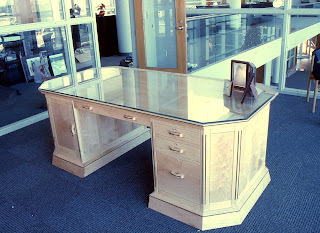 You may wonder about the drawer front, top panel and base. They are painted with two colors of milk paint and then lightly sanded to reveal the colors beneath. "... it is by no means sufficient to be in possession of a certain amount of knowledge and dexterity in order to follow with success the important responsible calling of a teacher. Teaching is an art quite as difficult as any other, and for its practice certain qualifications are demanded which are far from being in the possession of all. The teacher must not only know what he has to communicate, but also how he ought to do it. 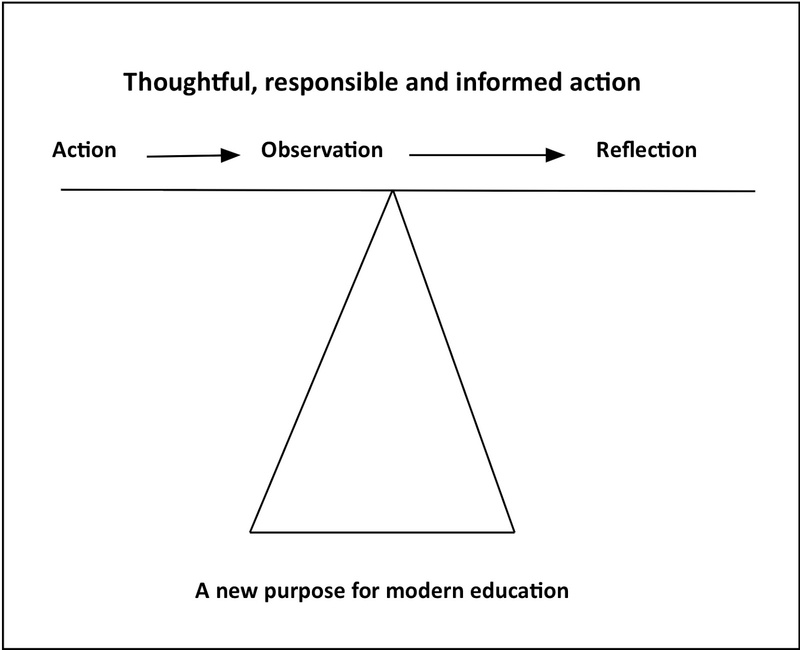 Nor is this all; for if all instruction is in reality to be education, the teacher must rise from the instructor to the educator; he must not only understand how to impart knowledge and dexterity, but also how to impart both in such a manner that they make for the mental development of the pupil, especially with regard to moral training. But as we cannot give to others what we do not ourselves possess, it must necessarily follow that only he who is himself educated can have an educative influence over another. Therefore, exactly in proportion to the educative aim of the teacher does his personality enter as an important factor into the work of instruction. Now since Slöjd is to be regarded more as a means of education than a subject of instruction in the common acceptation of the term, the first demand of all made upon the teacher who undertakes it must be that he would feel himself to be an educator, and strive without ceasing to improve himself as such." Wouldn't it be the silliest of all things for art students in universities to take only art theory classes and art history classes and boring lecture classes until their last year in which they would take a class or two in which they finally handled the materials used in the arts? And yet, that is the strategy used in universities in teaching teachers and leaving them unprepared to teach. After years of sitting bored in classes, they practice teach as a final exercise, often learning they don't really like teaching. Forty-eight percent of new teachers leave the profession in the first 3-5 years. If we were to understand that teaching is an art and that teachers were best trained as artists are trained in real experience from day one, concurrent with their education, we would have a revolution in American education that would border on the miraculous. University educators, contending with their own academic egotism will likely always refuse to understand that there might be something they themselves might learn from industrial arts. But Educational Sloyd presented a model for understanding learning long before Piaget, Bloom, Dewey, Bruner, and Gardner and that teachers could actually use in their classrooms and as a guide to teaching all subjects. It was based on observing how we actually learn, hands-on. The point here is not easy to make without someone taking offense. It is difficult for those who've committed their lives to teaching teachers to admit what a mess we've made of the teaching profession, and after completely decimating and demoralizing the profession of the manual arts teacher, to notice that there was something in manual arts training was of great value and that's now been lost. It would be an even greater leap for them to stoop so low as to learn something from Educational Sloyd, a system of woodworking education from the 1800's. Dave Kings, a high school science teacher and MASW box making student sent me the photo at left showing boxes made in our class and now finished with Tried and True. 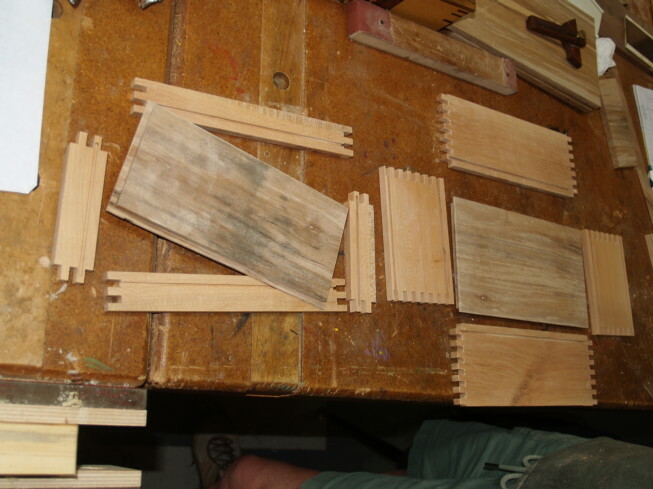 Dave has been busy making sleds and jigs in preparation for making more boxes. 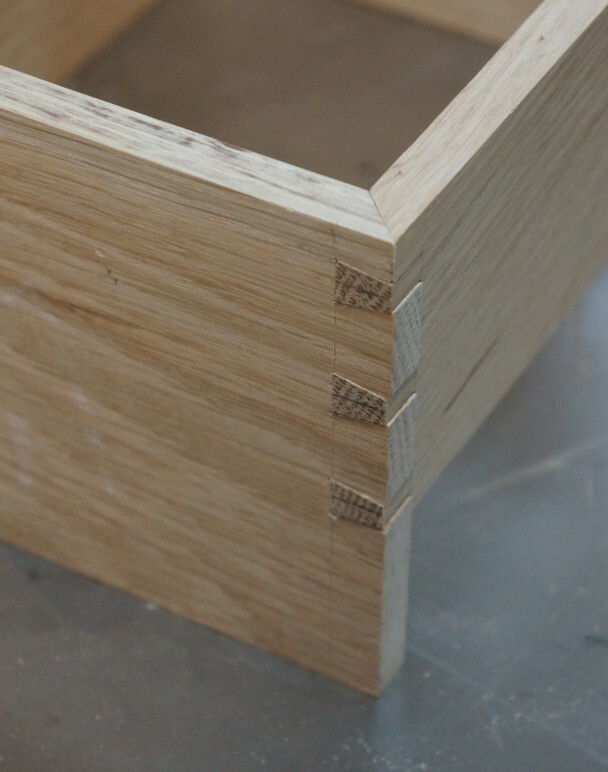 I love his use of contrast, including the tiny dowels locking the corners of the smaller box. 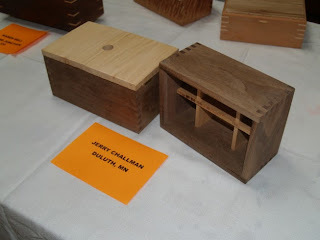 If I were to conduct my box making classes in the same manner in which universities teach teachers to teach, my classes would not be so much fun, my students would not leave class with so much knowledge and skill and I wouldn't have so many delightful photos to share with you. Nor would my students have such beautiful boxes to remind them of all they learned and to inspire confidence for their next learning adventure. One of the things that Salomon also believed was that teachers should be well trained in what they teach. "We cannot give to others what we ourselves do not possess." I get to be a better box making teacher because I attempt to do my best in the accomplishment of difficult things. The box at the top is one I'm making with mitered hand-cut dovetails. It is an exercise of the hand, the eye and the mind. It is not a joint that I attempt often, but makes a beautiful box. The City of Eureka Springs might want to test this to test this ruling to see if it also applies to business owners putting up signs on their private property, but that would be an expensive proposition to test. The only exception to this ruling the Supreme Court has recognized so far is that property associations have the right, since they are not government, to restrict signs of this type, and usually that restriction is mentioned in documents the owner of a condo will have signed. As a high school science teacher, I find your educational philosophy enlightening. In a environment of putting students into boxes based on state mandated standardized testing, it is becoming more difficult to teach qualitatively rather than quantitatively. There is not enough time in a school year to do both well. Talking with you has recharged my thinking to emphasize the quality over the quantity. Otto Salomon in Educational Sloyd recognized that children were first and foremost individuals and class teaching was ineffective at even at its best. If you observe a class of kids, you see automatically that they are not at the same level, and as teaching that class progresses, the levels of understanding widen rather than all kids being brought to a common understanding. Teachers are taught to ignore that, and to accept failure in some of their kids as part of the price of teaching and observing the success of others. I love teaching at Marc Adams, because even though not all students are at the same level, and even though having 18 students, I don't have time for as much personalized instruction as I'd like, Students get to learn and experiment, working from their own starting points and with the help of assistants and peers, often exceed their own expectations. It would be a good model for general education, but I know the academically inclined might never suspect that they could learn anything from the industrial arts. As I've continued to finish boxes started at MASW, I found this pull in my parts drawer left over from a period furniture piece years ago. Attach it to the top of a box and you get a whole new look. Rather formal and informal at the same time. Let me know what you think. I am beginning to prepare for my box making class with the Eureka Springs School of the Arts. I am milling some materials in advance, so that we can launch ourselves quickly into work. It will be a small class with one returning student from years past. 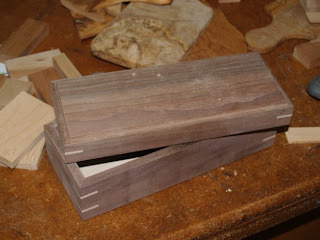 I am also putting lid supports on boxes, lining interiors and getting them ready to sell. My inventory keeps growing and needs to be dispersed and sold. The notion that someone could learn important educational values from making things is a concept that seems to have escaped consideration in modern academia. 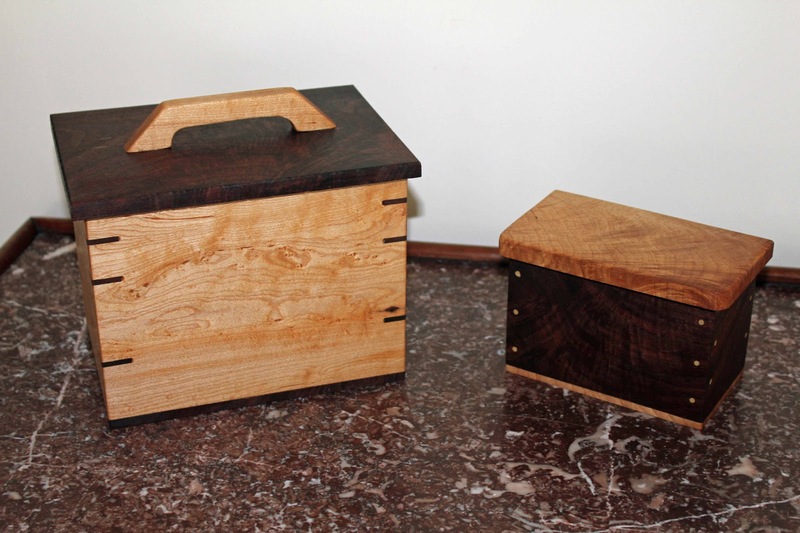 A Clear Spring parent had observed that in normal classes, a student might learn something about the world, but in wood shop that student learns about him or herself. "taught by journeymen and other craftsmen, who without any pedagogical training practiced it like a craft fully neglecting the pedagogical, educational, meaning of handicrafts." "After becoming familiarized more thoroughly with the writings of Pestalozzi the idea of handicraft as a formal educative tool in school became clear to me. As is generally known, Pestalozzi started a fight against the old scholastic grinding away and the conservatism of thoughtless memorization and presented as an improvement among other things the ‘object-lessons’ and generally a teaching method educating through observational, developmental approach. It is also well-known, that Pestalozzi himself and even more his blind imitators fell in so called observation, thinking and speaking practice in tedious, empty blabbing, which was everything else but not developmental, pedagogic. So came Fröbel and stated, that observation is not enough for a child when trying to understand with sight and touch the artifacts and to describe them, but the children must be taught as early as possible to give form themselves for what they comprehend with their eyes and to produce something through their own work. For this Fröbel created the play tasks, which at first consisted of a ball, a cube and as a mediator a cylinder; further basketry, construction with joints, drawings, sticks, etc." Hi own educational methods which served as the foundation for education in Finland's folk schools we intended to carry Froebel's insight to a higher level. When engaged in the process of making beautiful and useful things, one is also engaged in the creation and recreation of self. Speaking of which, I received a series of photos from my student Rich Escallier at Marc Adams School. The box is designed to hold various things for playing the guitar... strings, picks, capo and even nail clippers. 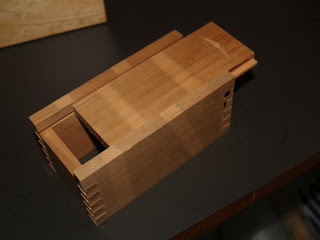 The closed view is shown at the above, and the various layers inside are shown at left and below, culminating with a secret compartment covered with a door made using the inlay strip I made as a demonstration in class. Rich made effective use of surprise. As you enter the relatively simple box, you go deeper and deeper, layer by layer into the box and its uses. Please notice the use of thin pieces of walnut that connect various parts. 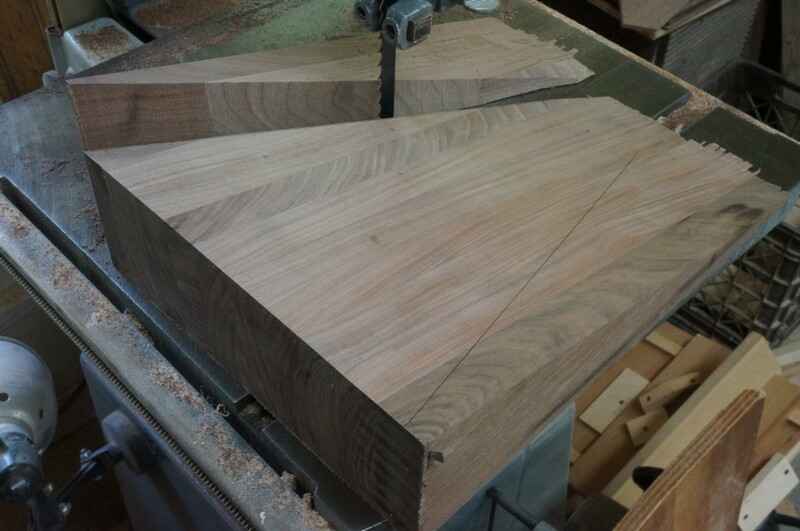 These thin pieces are fitted into tiny saw kerfs, carefully cut by hand. I've been reading bits and pieces of the letters exchanged between Otto Salomon in Sweden and Uno Cygnaeus in Finland about the earliest days of the introduction and experimentation with educational Sloyd. 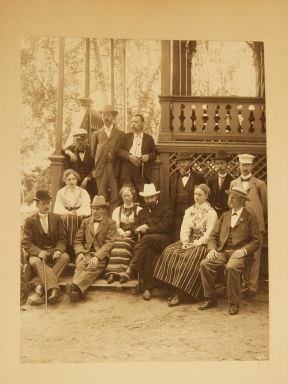 Salomon and Cygnaeus, truly the two co-founders of the movement corresponded off and on from 1877 to 1887 with Salomon being a much younger man. There were some disagreements that seem to fade into semantics, but some bits and pieces of the core understanding of the instructive and formative role of crafts in general education comes clear in their discussions. They both understood what few educators today understand. This last week, friends from Norway were visiting here and they told me that Sloyd in their country has been replaced by "forming" in schools as a compulsory subject. I am uncertain how that compares, and what relationship it may have to sloyd which is still remembered by many older folks as being a part of their schooling. In a letter dated October 28, 1877 to Otto Salomon (translated from Swedish) Uno Cygnaeus emphasized the difference between the vocational school and the folkschool in the way crafts were to serve learning and the development of the child. ‘Even if we agree, that sloyd is important in the folk school, I think that the handicraft methods must be substantially different in the common folk school and in a special vocational school. In the former, handicrafts must be considered and handled foremostly as a formal means of civilization and organized accordingly, that the aim will be development of child’s sense for form and beauty and general dexterity, and the drill of craftsmanship of all the possible work will be avoided. This was a controversy that played out later in the development of industrial arts in the US... Were crafts to serve as a pedagogic tool for the overall development of the child, or were they to be brought in later in the child's learning... when he or she was ready to aim toward a particular career choice. The point that Salomon and Cynaeus agreed upon, was that crafts had formative value. They shaped the character of the child, and developing in that child a sense of beauty and form. It could be called "forming," as long as that term carries the understanding that its purpose is not that of merely shaping materials into new form, but has to do with the forming of the very nature of the child... Are our children to be passive consumers, manipulated in every which direction by corporate greed and power, or are they to be creative and able? I have been fascinated for years by the accuracy I've developed in my eyes. I can simply look at a piece of wood and judge its thickness with tolerances less than 1/64 in. A piece of wood, I can tell you is 1/8 in. thick, or 1/16 in. thick, or 3/16 or 3/4 without using any measuring instruments. The same certainty can be developed in the sense of beauty and form. There are many folks who've not been raised to have an understanding of the arts, and lacking that understanding of how things are made and the reasons behind their making and the challenges of material and form and may not understand the value of things from the same standpoint as those who have participated more fully in the arts. That, I believe, is what Matti Bergström meant as being "finger blind." 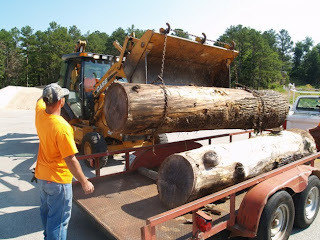 Today Calvin Cotton and I went out to City Shops and picked up the Library Poplar logs which we plan to cut into lumber so that members of the community can make things from the wood to benefit the library. 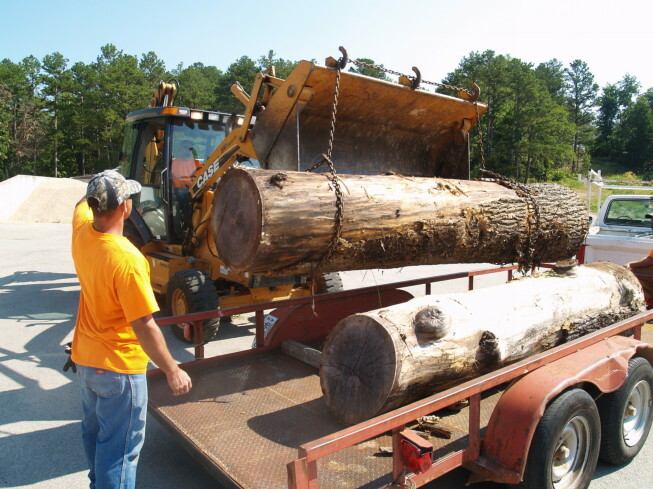 We had hoped to get started on it earlier, and were sad to learn that a very large pine log from the cemetery had been burned before we could get our hands on it. Some of my readers may enjoy reading what school is like in Norway. Their test scores are like ours, but their kids love school. That should be worth something in a world in which all kids must become life-long learners in order so survive.